Does your hair look rather lifeless and less bouncy? Don’t you feel it moisturized and luscious anymore? If that’s the case for you, chances are that your hair is getting some split ends. Not only that they’re going to take away the healthy shine, but they also may put the hair growth on hold too. What causes split ends anyway? Why is important to trim your split ends? What are the easiest ways to trim your split ends? What are the tips when trimming your own split ends? What can you do to prevent split ends? 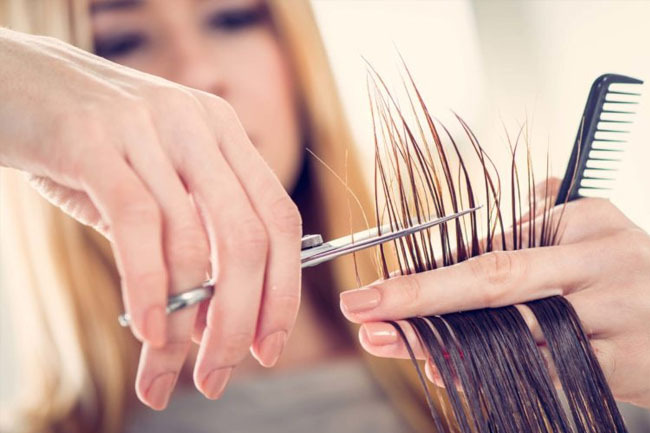 Your strands of hair are going to develop split ends when your hair’s cuticles (the protective sheath of hair) is going to get damaged and lose health. This is going to make the inner layer of the hair exposed and prone to dehydration- resulting into the split ends that you notice. There are many things that lead to split ends. Some may say that it’s the harsh environment, but you should give a good thought on your hair care routine as well (or better said, the lack of it). In addition to making your hair look damaged, dull and lifeless, split ends bring plenty of negative effects so not trimming them is never a wise idea. Typically, the split ends are a bit lighter than the natural color of your hair and this gives an uneven and discolored overall hair look. Split ends are going to reduce the healthy shine of your hair, making it look all brittle, lifeless and dull. Not enough hair masks, conditioning or any other hair care products that give back its shine is going to make your hair look even worse. Split ends aren’t just going to turn into healthy hair if you’re conditioning or using a hair spray. The longer you wait with the trimming, the worse it’s going to be as split ends do “split” into 2 or 3 “feathers”, which stops the hair growth. Trimming your split ends is the easiest way to do and you may not want to hurry up and make an appointment at your hair dresser. You may simply get a good pair of scissors and do it on your own from the coziness of your home. Take a look at the Professional Barber Hair Cutting Scissors/Shears by Utopia Care. 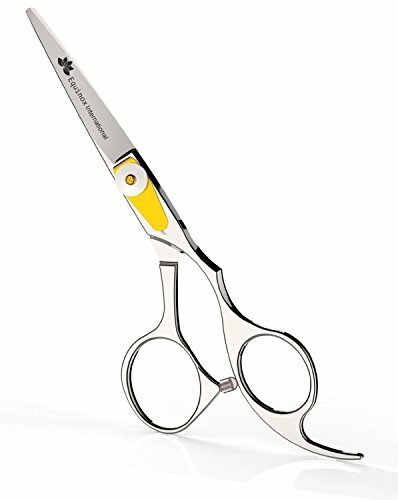 Made from 100% stainless steel, the shears are long lasting and come with hand-crafted blades that give you amazing control and balance. The handles are non-slip for better grip and the very sharp blades help you trim the hair nice and clean every time. Hair sliding method is rather unconventional and not many people know about it. It does require some effort on your part as you do need to start by straightening your hair before you actually get rid of the split ends. 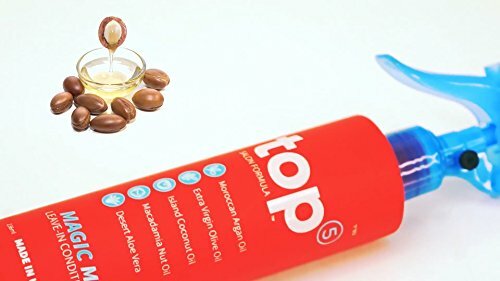 One of the most popular choices out there, the HSI PROFESSIONAL Top 5 Heat Hair Protector is going to revitalize your hair and reduce the risk from heat damage. The formula is made with Moroccan argan oil, virgin olive oil, coconut oil, macadamia nut oil and desert aloe Vera, nourishing and sealing in moisture. It repairs the damaged hair and soothes the scalp, keeping frizz at bay. it’s sulfate-free, paraben-free, phosphate-free and safe for color treated hair. 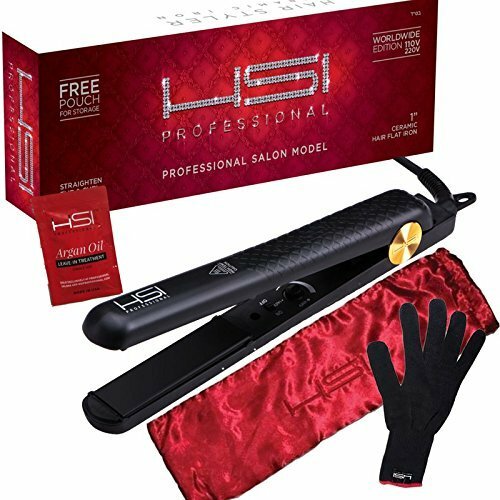 Probably the surest buy in terms of straightening irons, the HSI Professional Ceramic Tourmaline Ionic Flat Iron hair straightener is a great option for many. It comes with 1in solid ceramic tourmaline plates and the advanced infrared heat technology lets you straighten your hair with minimal damage. The 360degree swivel cord eases the use and the straightening iron is always a good buy. 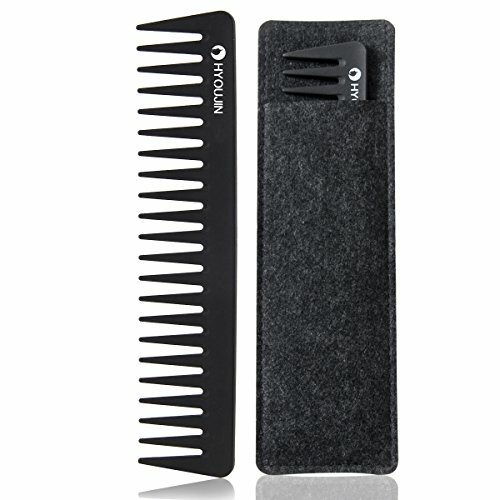 Hand-crafted, the HYOUJIN 601 Black Carbon Wide Tooth Comb,100% Anti-static is going to help you get rid of the little knots and tangles in a gentle way. Its wide-toothed design and carbon sanded feel are going to reduce the risk for static and increase its heat resistance too. The hand finishing and the professional design recommend it for a sleek blow-out before trimming your split ends. Slide your fingers nice and easy down the section of hair and trim off the split ends the same way. Slide and trim until you get to the end of the section. Do the same for all of your hair. This is rather a classical method to trim the split ends and it’s quite common for professional hairdressers to use it. Get a 1in section of your dry hair and twist it really tight, using a clockwise motion, going from the roots to the tips. Hold this twisted section taut at the ends. Begin from the top of the section and work your way down. Trim the split ends that stick out. Use a counterclockwise direction and re-twist the very same section, getting rid of the split ends in the same way. Go over the same steps for all of your hair. As the sliding and twisting method are a bit meticulous and require some time, you can simply trim off the ends of your hair, not only the split ones. Detangling Brush – Glide Thru Detangler Hair Comb or Brush is a great tool to have. The cone shaped plastic bristles are going to separate the hair sideways and not down, eliminating the most difficult tangles. 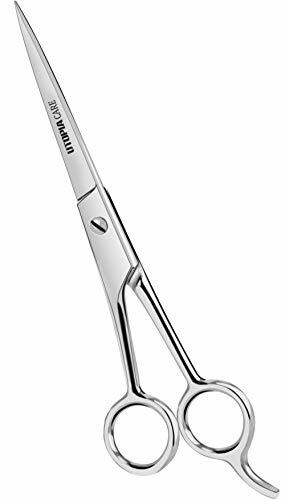 Great for the salon professionals, the Equinox Professional Shears Razor Edge Series – Barber Hair Cutting Scissors/Shears stand out with an easy grip handle design which is going to cradle your fingers. They have a stainless steel texture and don’t get hair caught in between the blades. They feature gold painted tension and adjustment screw so you can make fine adjustments in no time. This method works on damp hair so you need to do it right after your shower. Try to eliminate the tangles and knots from your hair, in a gentle way. Use the SheaMoisture 8 oz. Raw Shea Butter Extra-Moisture Detangler for creating the perfect slip, eliminating tangles and knots from your hair. The detangler may be used daily and hydrates your hair, reducing the risk of breakage. Get a 1in section of your hair and clip up the rest of your hair so that you can work easier. Don’t be scared to try it! The split ends are never going to go away on their own so you should trim them asap. Don’t lose hope if you’re not getting it right from the first time. Practice makes perfect. If you think you’re done, but still feel some split ends, do it all over again. Most of us don’t have the guts to do it right from the first time. Chances are you’re going to have to go over your head a couple of times especially when you’re new at trimming. Take your time and don’t hurry up. Trimming doesn’t take much time anyway so you should never rush it. If so, you may do it all wrong. Don’t forget to use a serum before you start trimming for detangling your hair. too much oil is going to keep the split ends from sticking out so make sure you use the right amount. Trimming doesn’t replace a good haircut so don’t skip your haircut appointment. Trimming is only winning you some time before you go to the salon for a haircut. Split ends do ruin the health and the appearance of your hair, but there are several things that you should do in order to prevent their developing to begin with. Washing and combing is enough stress for your hair so you need to trim your hair every 2-3 months. If your type of hair allows you to, you can skip washing any now and then and try the no-poo method. It’s better that you don’t wash your hair very day. When you do, try your best not to use hot water. Both of these habits are going to strip your hair of the natural oils, weakening and dehydrating it. Hair oils are good for your hair as they nourish and moisturize your hair from within. They also help because they create a protective sheath around your hair, lowering the risk for damage that washing and shampooing have on hair. If you like to go swimming in the pool, keep in mind that the chlorine-infused water is really damaging for your hair. remember to create a protective layer of coconut oil on your hair before putting on the swim cap. 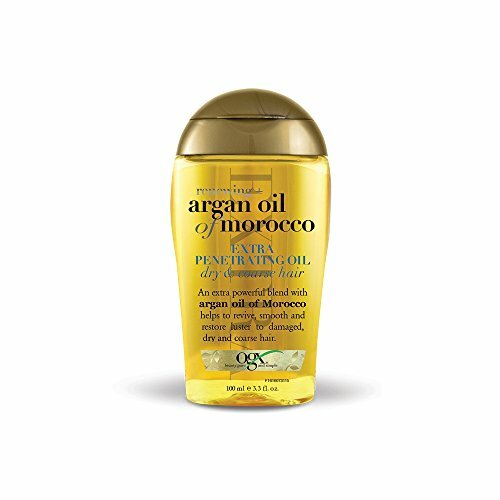 Strong and effective, the OGX Renewing Moroccan Argan Oil Extra Strength Penetrating Oil is formulated with argan oil and makes the perfect choice for the coarse, damaged and split ends. It smooths your hair and the Moroccan argan oil is going to penetrate, moisturize and soften your hair. It protects your hair during heat styling and gives your hair a healthy shine. no matter how great they are, heat styling tools (flat irons, blow dryers, and curling wands) are going to leave your hair dry, brittle and prone to developed split ends. Make efforts to stay away from them as much as you can and don’t forget to use heat protectant first. Art Naturals Thermal Hair Protector Spray – (8 Fl Oz / 236ml) – Heat Protectant Spray against Flat Iron Heat – Argan Oil is a lightweight option to use before heat styling your hair. It protects the hair and works as leave-in conditioner as well. The thermal shield is capable to hydrate your hair and speeds up the drying time. It gives your hair a healthy luster and works for all types of hair. It restores and repairs the dry and brittle hair. If you’re going to rub thoroughly your hair with a towel, you’re going to damage it and cause split ends. You should look for a microfiber towel and wrap your hair in it. The towel is going to soak in all the excess water and it’s best that you let it air dry it afterwards. Leave in conditioners are going to make your hair easier to detangle and to style, lowering the risk for developing of split ends. Don’t forget to apply one when stepping out of the shower. Softening and detangling your hair, the Shea Moisture Strengthen & Restore Leave-In Conditioner is going to put frizz under control so that trimming goes easier. 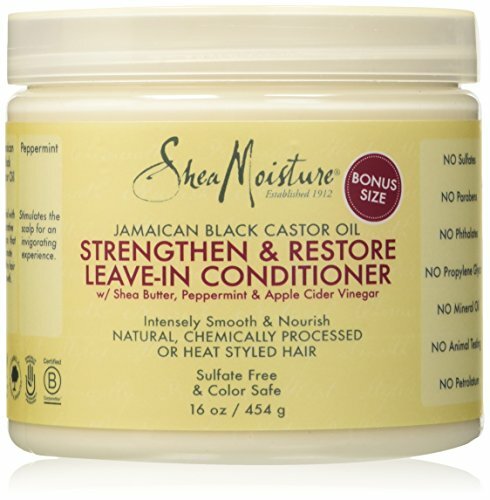 It’s made with Jamaican Black Castor oil and certified organic Shea Butter, nourishing and moisturizing your hair. 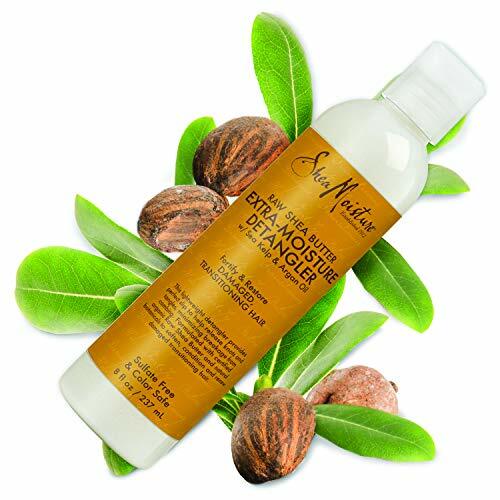 It improves your hair’s elasticity and reduces the risk for breakage when detangling it. It protects the hair and improves the appearance of split ends. Your hair needs some deep conditioning every once and in while. Apply one every 2 weeks so that you rebuild moisture in your hair and give it the nutrients it needs. 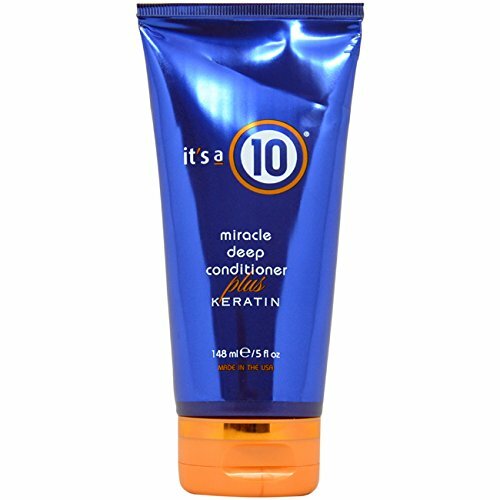 Give it a try with the It’s a 10 Miracle Deep Conditioner Plus Keratin. The formula is keratin protein enriched which provides deep penetration. The deep conditioner is going to moisturize your hair on deeper level, improving its elasticity and strength, protecting the color of your hair too. A wide toothed comb is going to help you work better from the ends towards the scalp. This way you’re going to prevent breakage, knotting and split ends. Capable to help you detangle your hair without leading to any more split ends, the Conair Anti-Static Detangling Comb is also going to reduce the risk for flyaways issues. It’s going to distribute your conditioner evenly on your hair ends and detangle nice and easy your hair. Hair ties that come with a metal clasp in the middle are going to break your hair, leading to split ends. Soft hair ties are quite gentle on your hair. 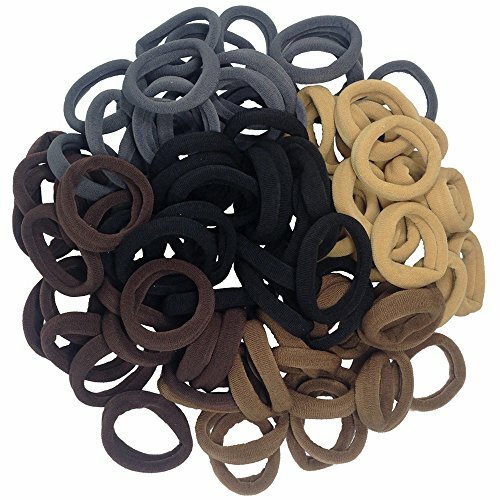 Try the Thick Seamless Cotton Hair Bands, Simply Hair Ties Ponytail Holders as they’re made with thick and durable elastic material that holds your hair in place, without damaging it. They’re soft and have a solid seamlessness design. They’re easy to remove and don’t stick to your hair. they’re great for thick hair, straight, curly hair and even on thin hair. they’re firma and stretch well, holding their shape for quite some time. They’re easy to match, versatile and dependable for so many hair styles. If you want to go out on a hot summer day, don’t forget to put on a hat/scarf around your head so that you protect it from sun’s damage. 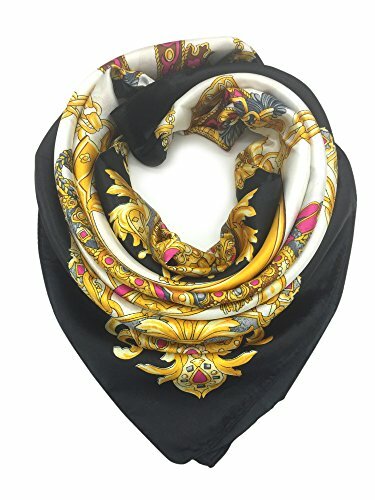 The YOUR SMILE Silk Like Scarf Women’s Fashion Pattern Large Square Satin Headscarf has a soft touch feel and it’s going to look great on your head, no matter the season. You can wear it in many ways and it comes in wonderful patterns. Pec (Polyelectrolyte Complex) is a new element that is capable to repair the split ends as it goes in the hair shaft and seals it from within. If you want your split ends to get fixed from within, look for conditioner that is made with PEC. TRESemme Split Remedy Leave-in Conditioning Treatment are a good example in the category and the Split Remedy System is going to cleanse and moisturize your hair, leaving it easier to manage and healthy looking. It reduces the appearance of split ends and binds them, fixing the damage as it happens. A healthy diet loaded with vitamins, minerals and proteins is going to maintain your body well hydrated and able to keep your hair healthy. The very first thing to do is to know when it’s time to trim it. You should run a styling tool through your curls and if it gets caught in the same place, it’s time to try some trimming. When your curls are frizzy and dry, unable to keep the style for some time, trimming may be the best solution for that. There is no easy answer for that, but if you’re wearing your hair both curly and straight, the best way is to trim your hair during the blown out. If your hair is in a curl by curl process, it may look uneven when you’re blowing it out straight. If you’re determined to trim your curls, you should get a good pair of cutting shears and stay away from the household scissors. You don’t need to pay the high dollar for them, either. Don’t forget to get some good hair clips to for sectioning your hair better. 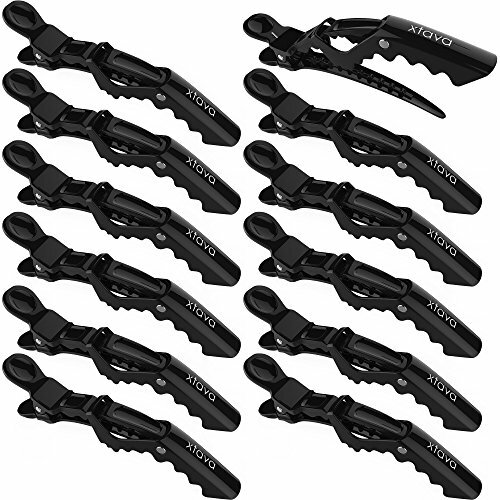 The Xtava Styling Hair Clips for Women – 12 pcs Professional Plastic Hair Sectioning Clips are double-hinged styling hair clips that present a flexible design, keeping your hair in place without damaging it or leaving a dent. They’re great to use for sectioning your hair, easing your trimming efforts. They’re made of heavy-duty plastic that is tough and long lasting, taking the use on any length or type of hair. you can angle them the way you need and the wide 0.5in teeth grips the hair, reducing the risk for hair slipping out of the clip. The 3.5in mouth opening and the patented self-locking grip isn’t going to break not lose the grip through styling. Many hair stylists cut wet hair having the impression that they get better control like this. Cutting hair wet isn’t a good idea because of the shrinkage matter. Wet curls are never the same length of dry curls. It’s quite common for trimming wet hair to turn into actually cutting. The curlier the hair, the higher the shrinkage is going to be as it dries. It’s better that you trim the curls while they’re damp, scrunching them to give the real texture to the locks. The search-and-destroy method is another way and you just trim knots where you see them, keeping your ends nice and clean. It’s a great method for anyone transitioning or when you’re determined to eliminate damage without losing too much length of your hair. You need to snip the ends of two-strand twists and not go with random sections. Once you’ve set your hair in twists (20 twists is a good number), you need to cut the split ends that present a diagonal slant or are thinning. The dusting method- you only need to cut less than 1/4in off the ends of your hair (trimming is a bit more than that). You need to detangle your hair with a comb, twisting the hair in multiple pieces. The twists are going to reveal the split ends that need trimming. Trimming your split ends is going to reduce the risk for frizz and give your hair a healthier appearance altogether. You need to make sure that you know exactly which way you’re going to trim your hair and to have the right tools. And the guts for it, nevertheless.